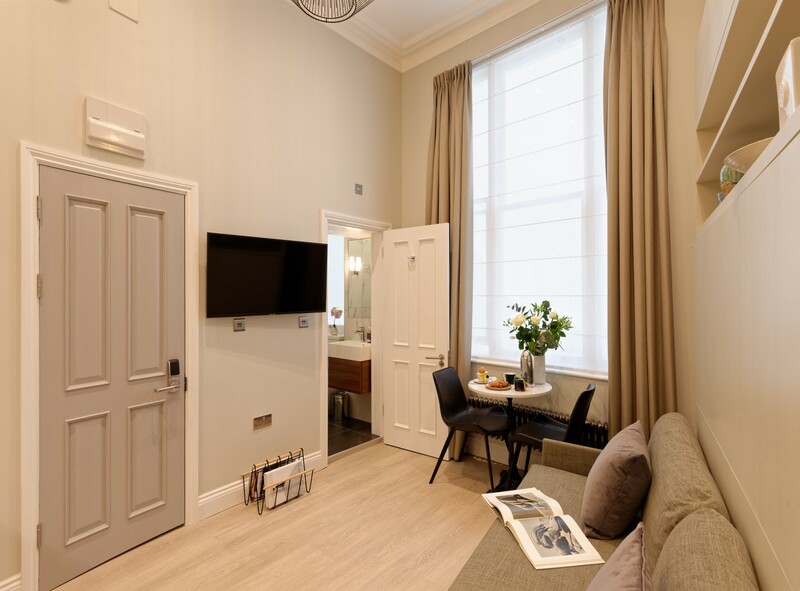 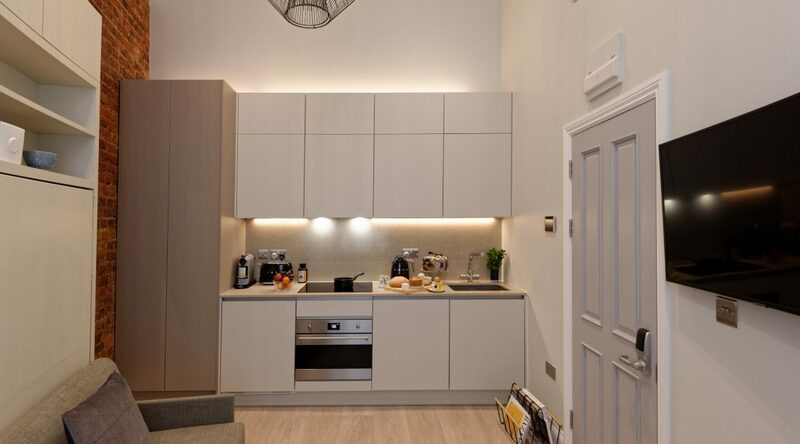 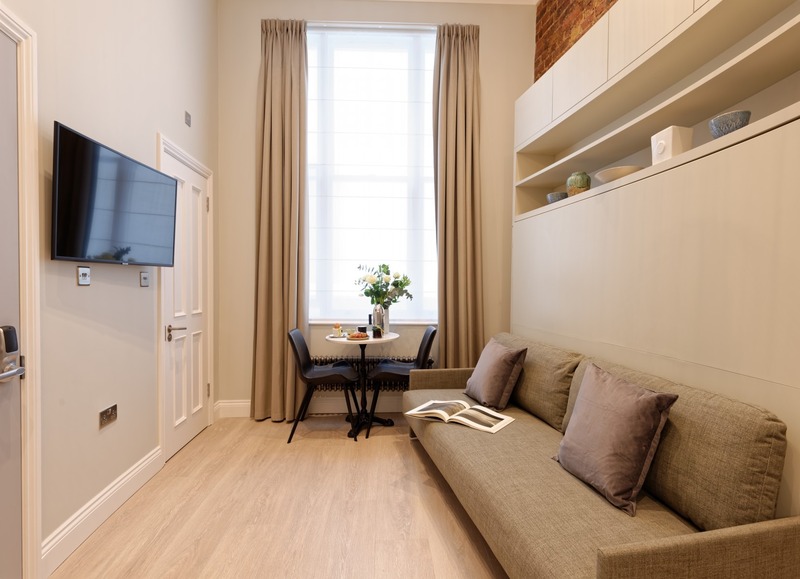 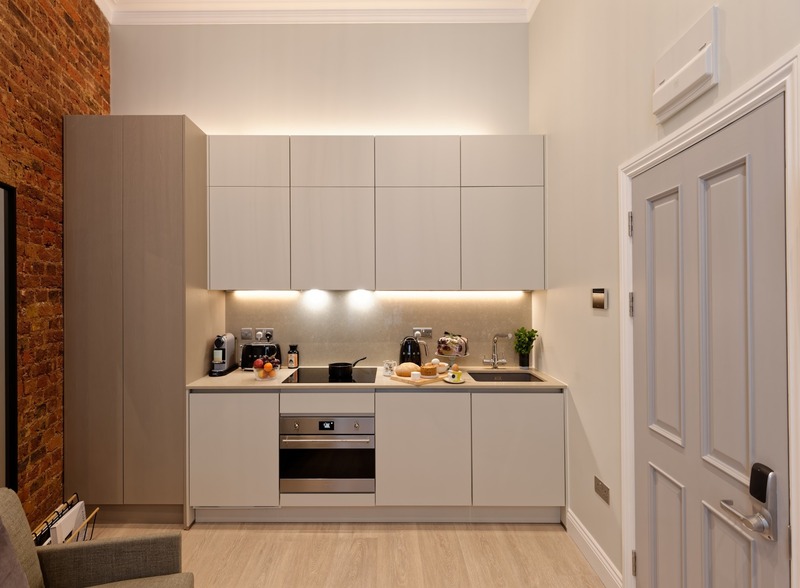 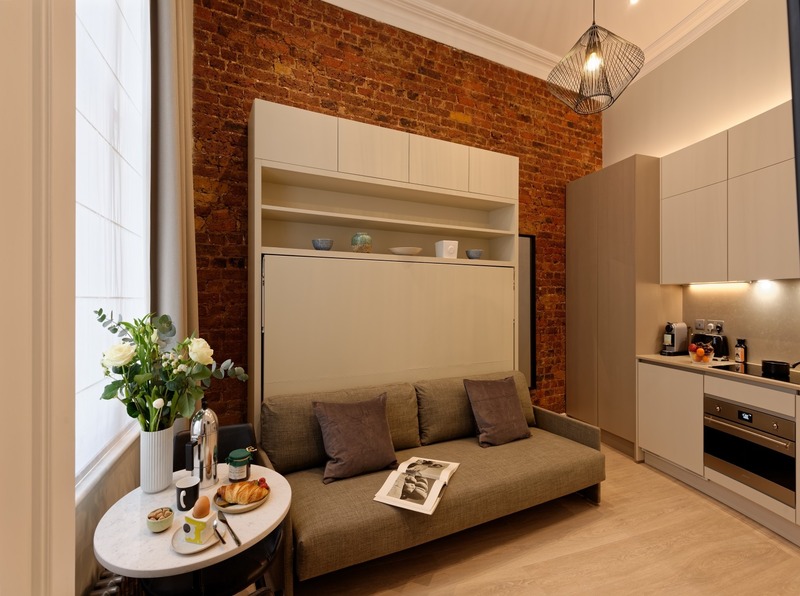 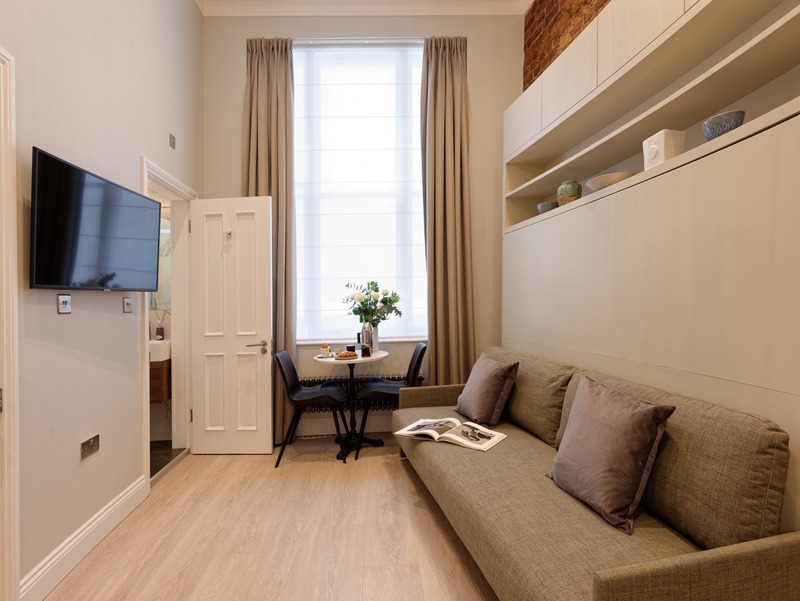 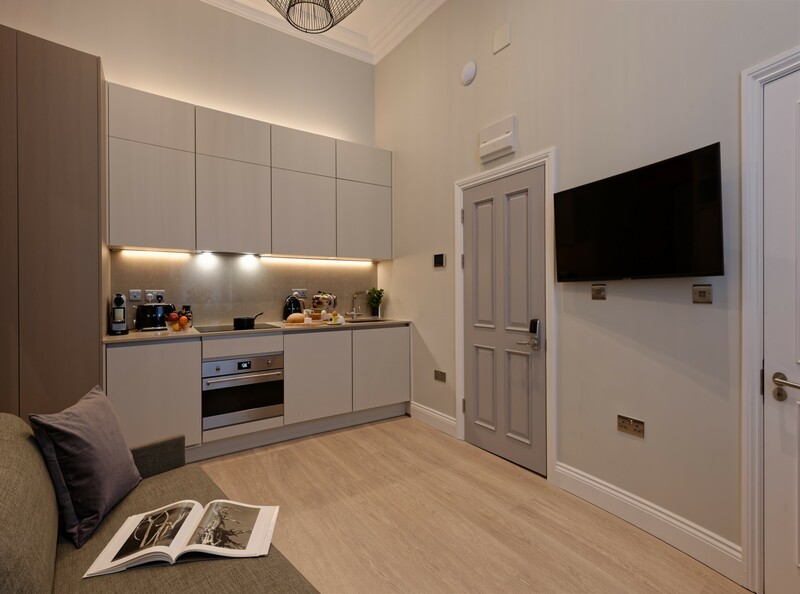 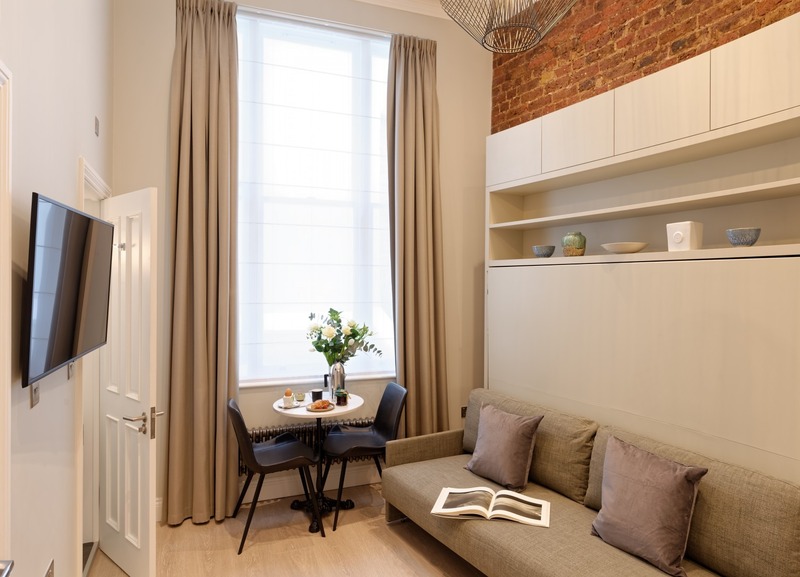 Apartment EG37-3 - Notting Hill Apartments Ltd. 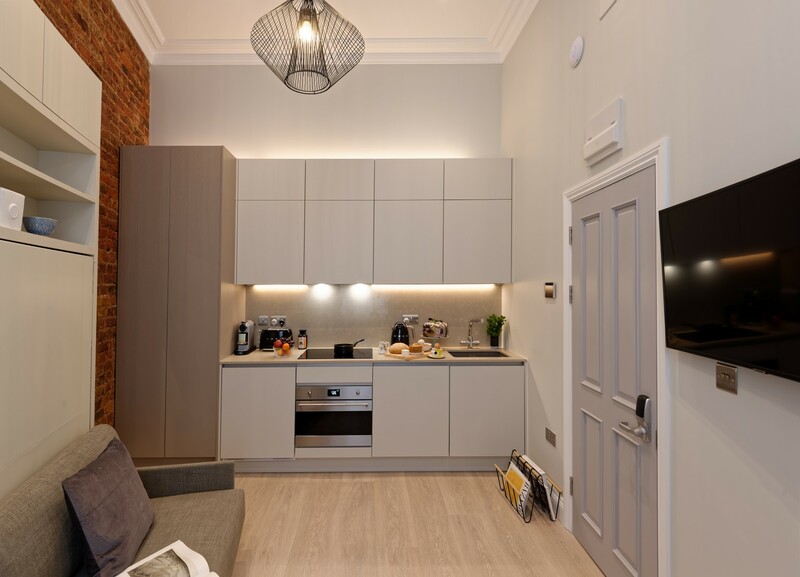 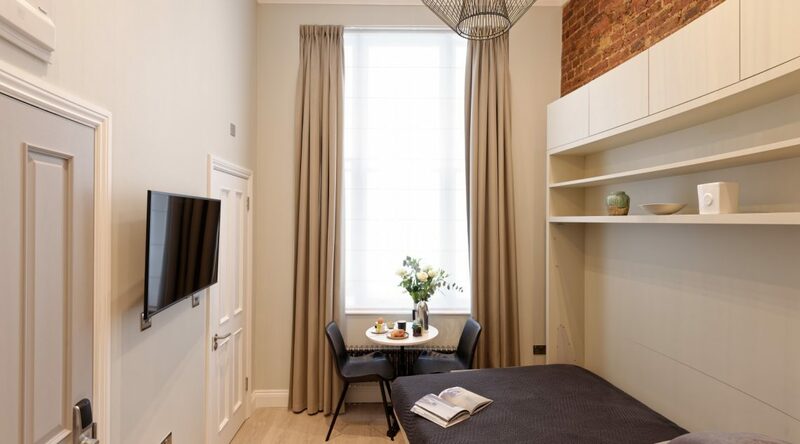 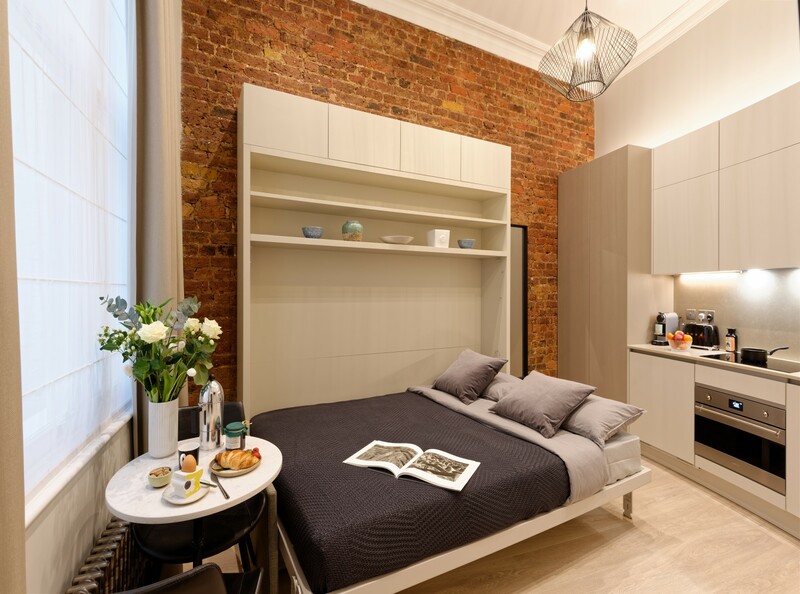 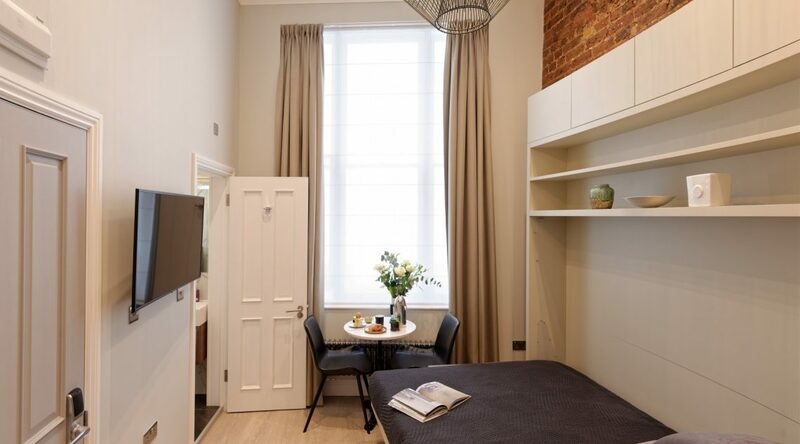 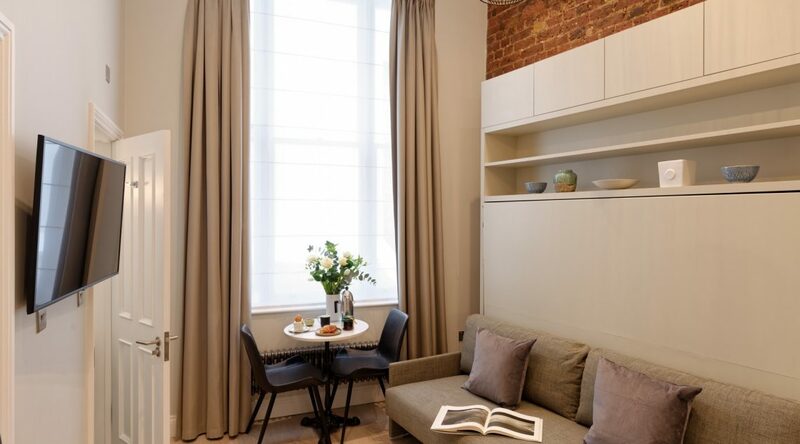 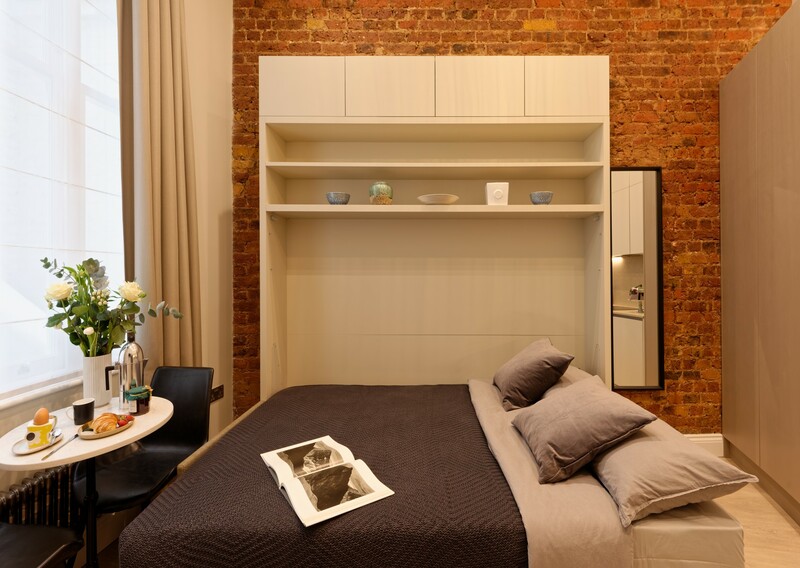 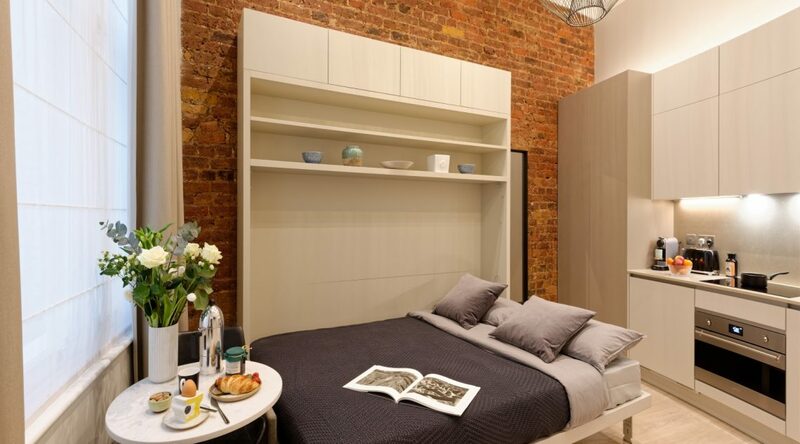 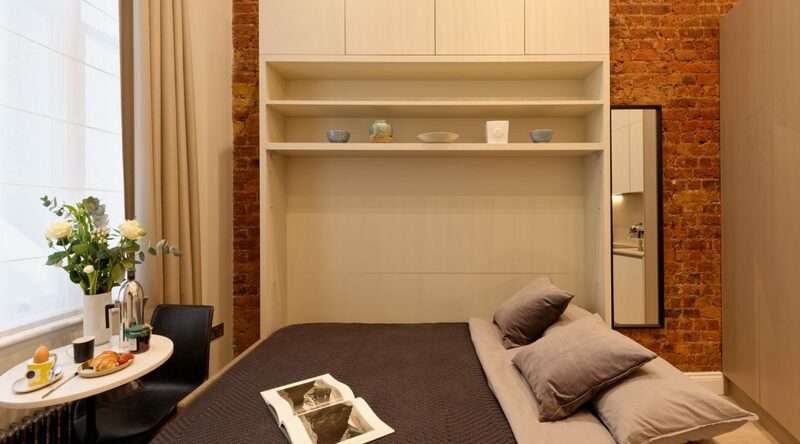 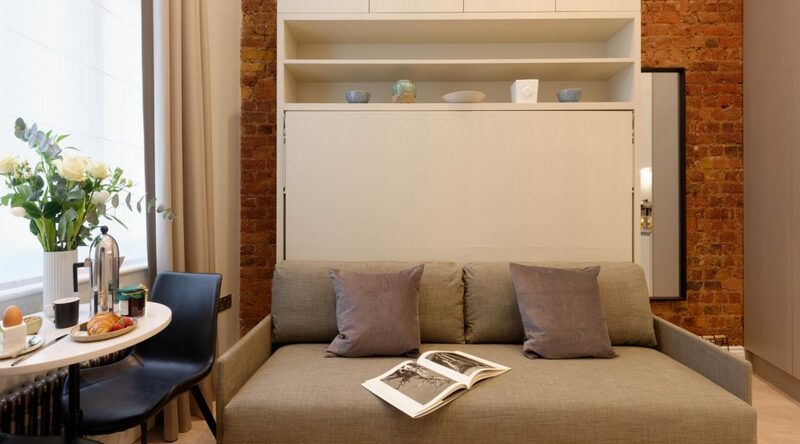 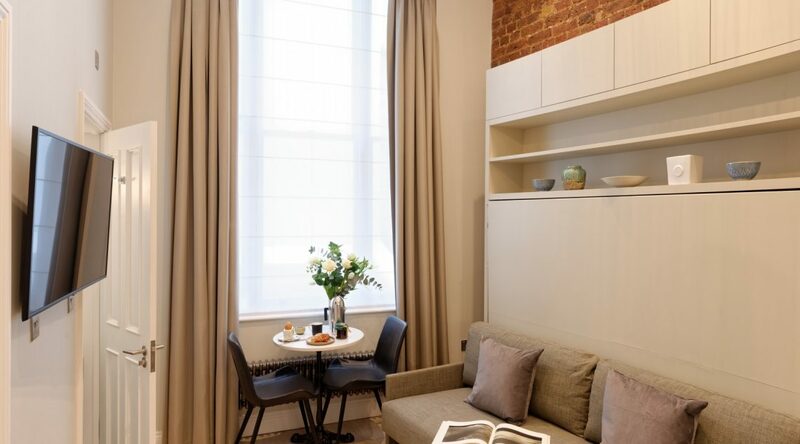 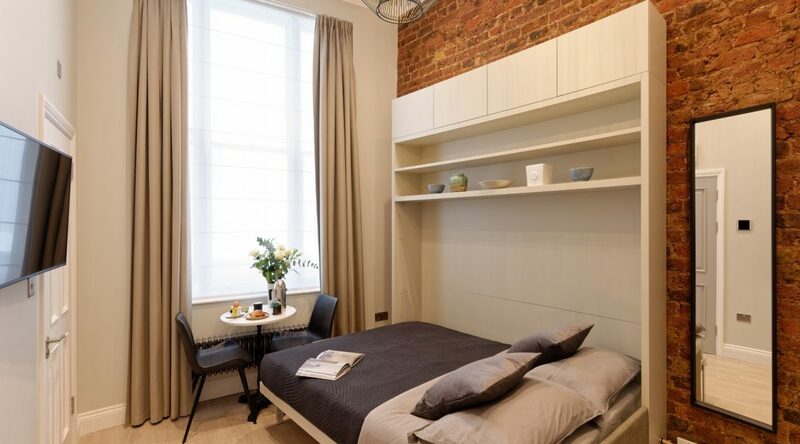 This wonderfully bright, interior designed apartment has recently been fully refurbished. 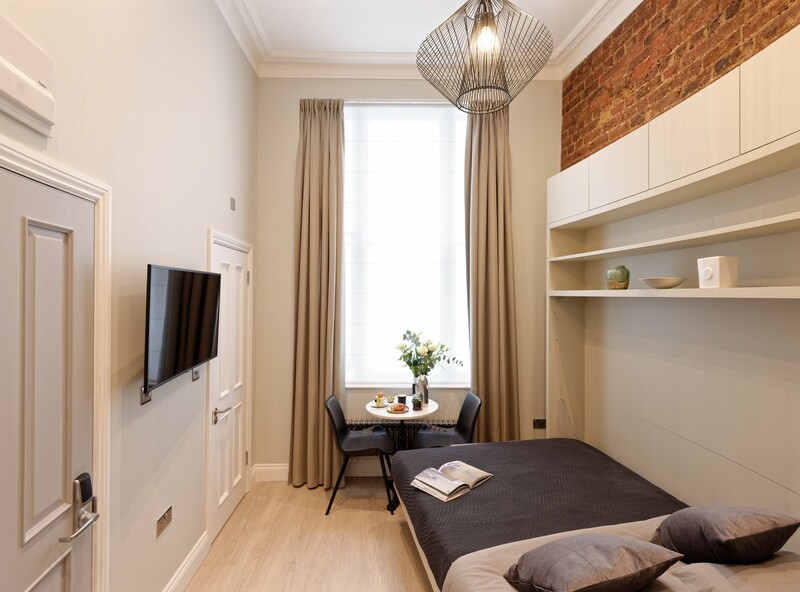 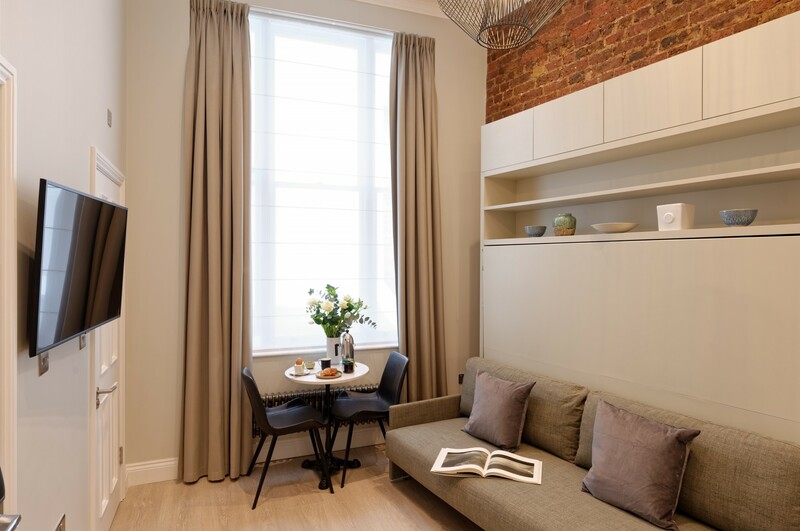 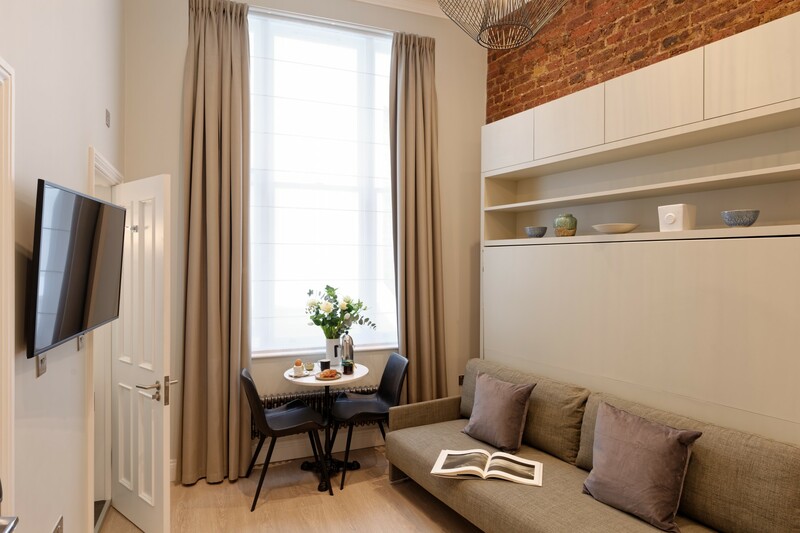 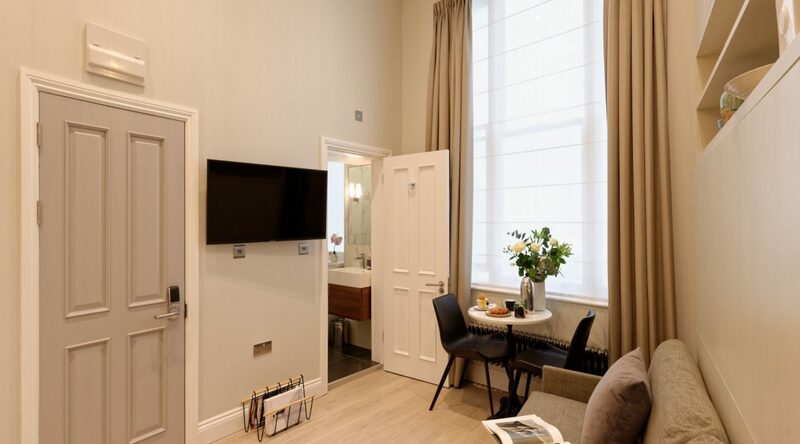 The flat sits in an elegant Victorian terrace of houses in a pretty, treed square in South Kensington. 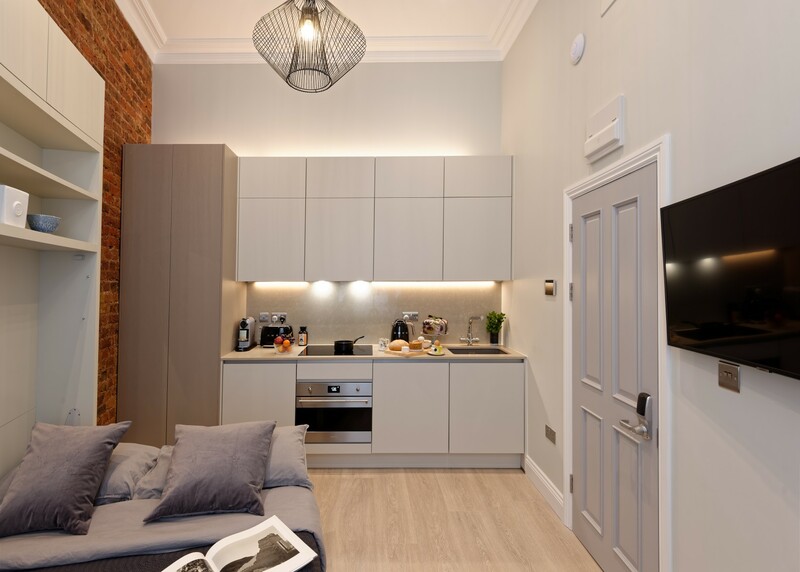 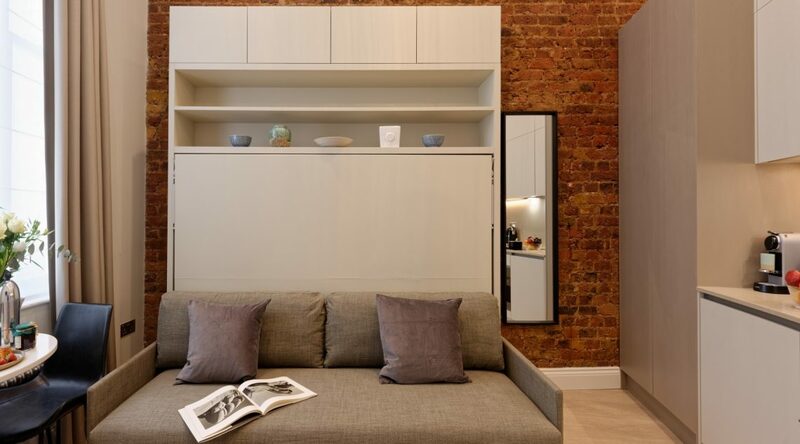 The designer has used modern lighting, bespoke joinery and a large exposed brickwork wall to give the space warmth and a contemporary atmosphere while the enormous windows and tall ceilings ensure a great sense of light and space. 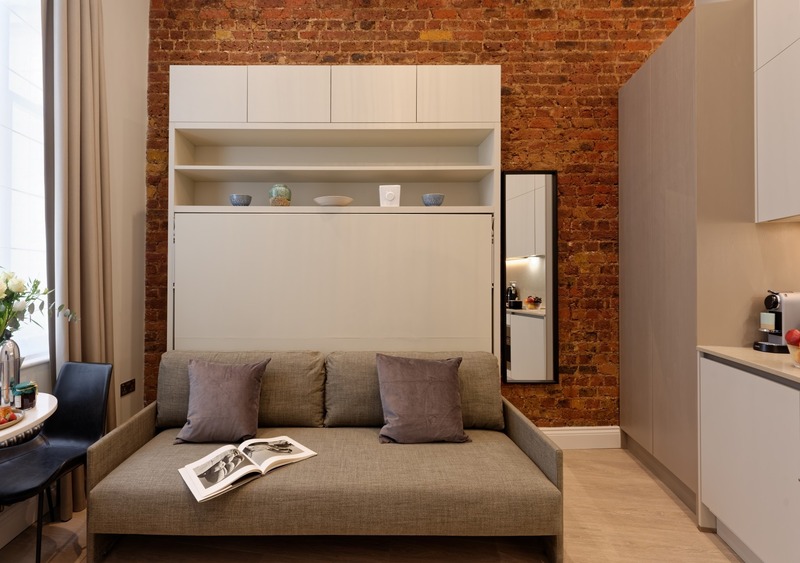 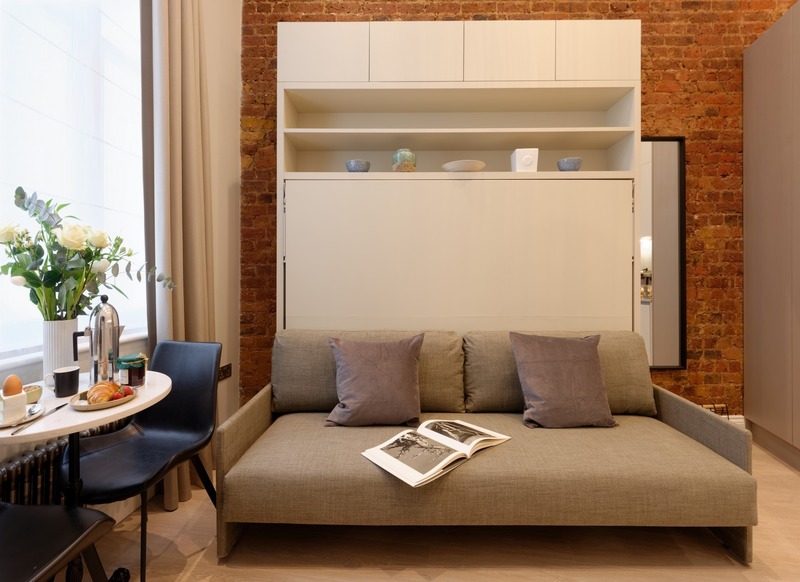 We have used the Clei Italian bed system to maximise space usage while used as a sofa yet provide effortless conversion when dropped down into a comfortable double bed. The large, smart TV offers scope to relax with your favourite series either from the sofa or on a lazy day in bed. 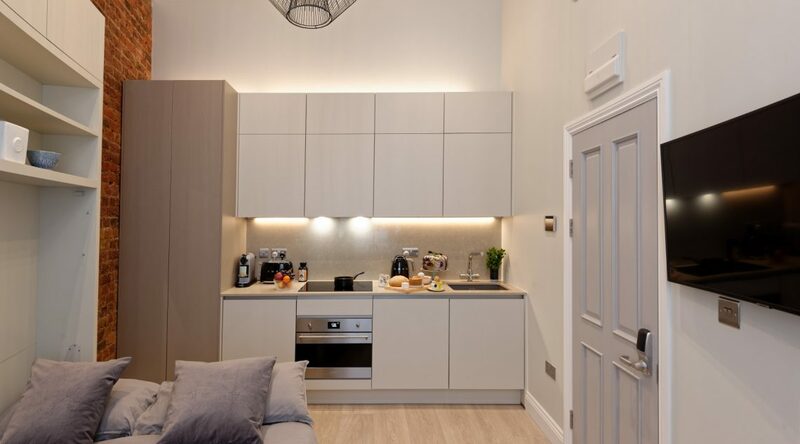 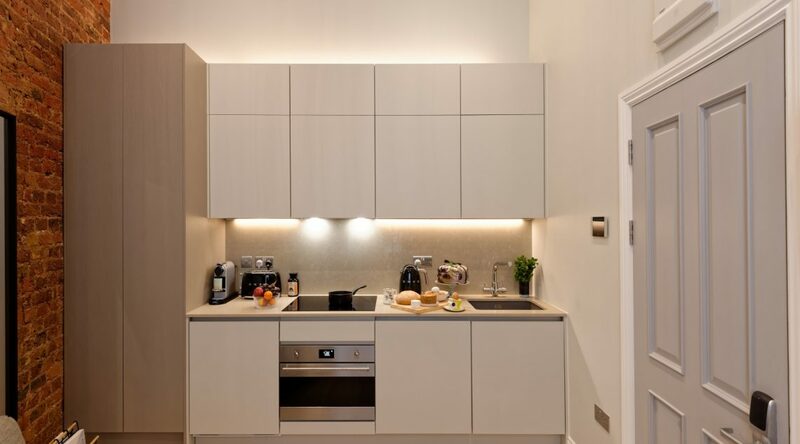 The modern kitchen has all the equipment you need, with new oven, hob and fridge freeze and all the plates, pots and pans needed to cook everything from breakfast on the go to a relaxed weekend meal. 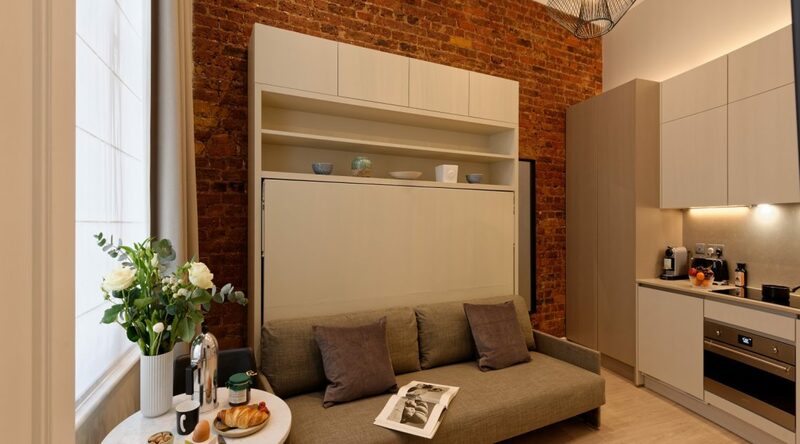 A small bistro table and chairs offer a convenient place for meals or space to rest your laptop. 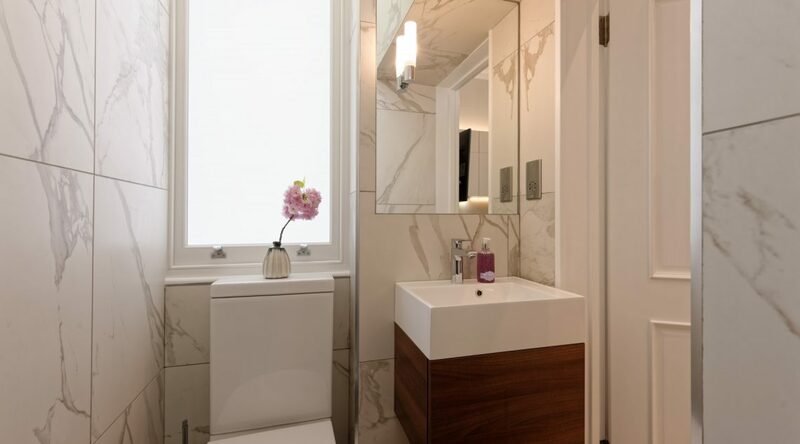 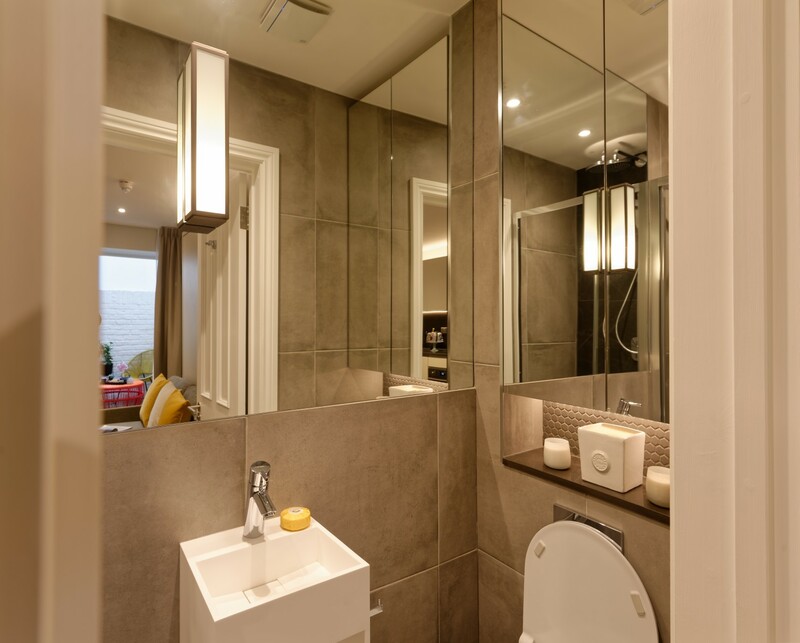 The elegant bathroom has been newly refurbished and is fully tiled. 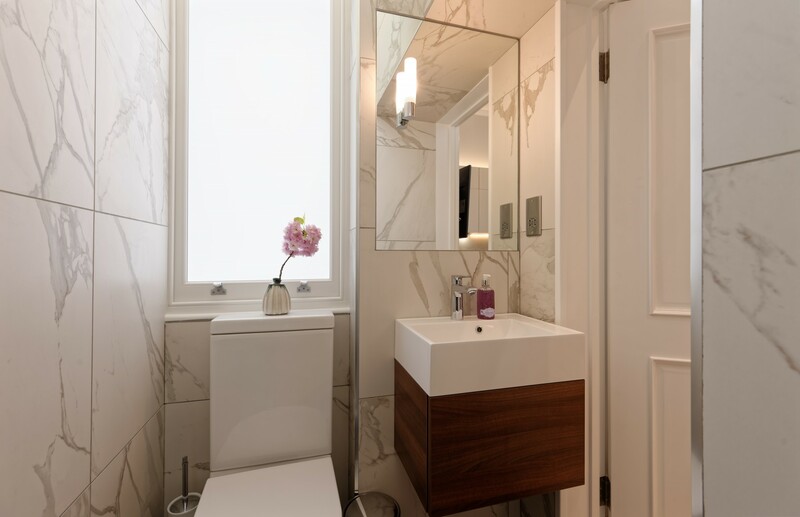 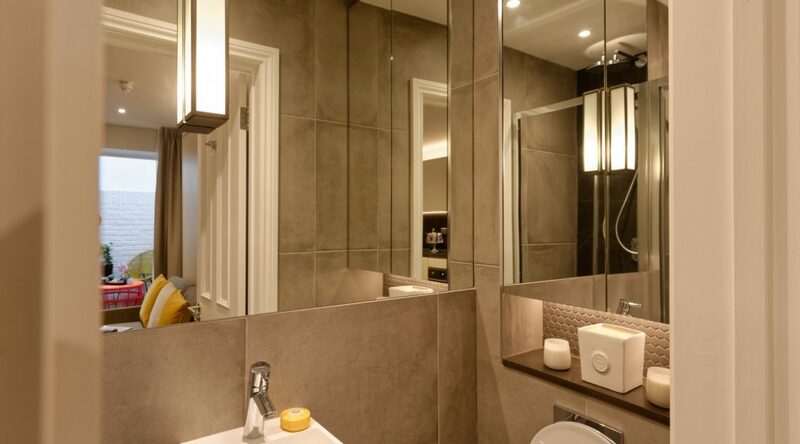 A walk in power shower, separate hand shower and underfloor heating make for a great space to freshen up. 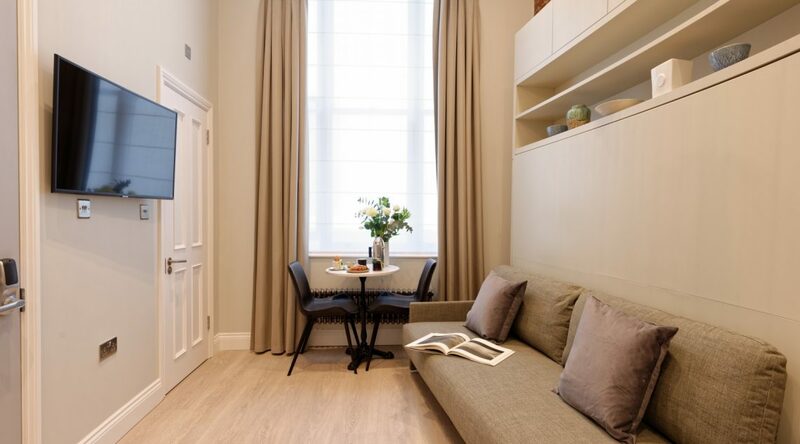 Hyde Park offers a great outdoor space to relax or exercise and the main London museums are also a short walk away. 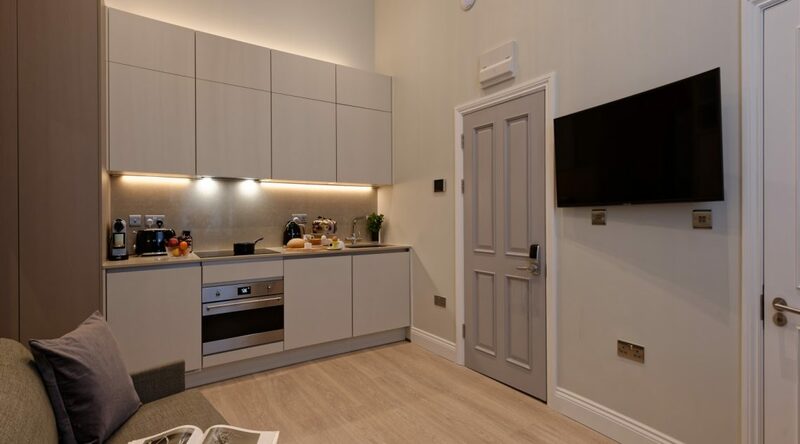 You will be spoilt for choice with the many shops, restaurants and artisan food shops in the area along with farmers markets and the usual supermarkets. 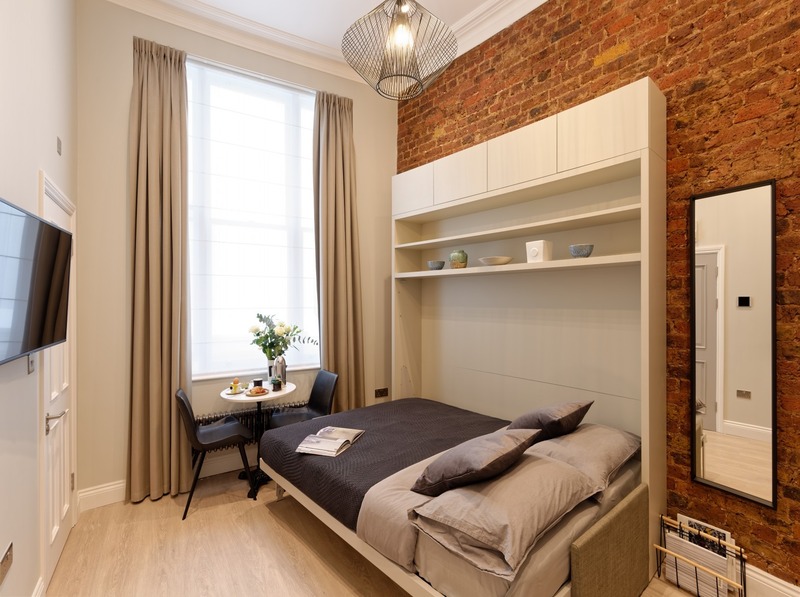 When you rent a flat in South Kensington you will have great transport options both within London and beyond. 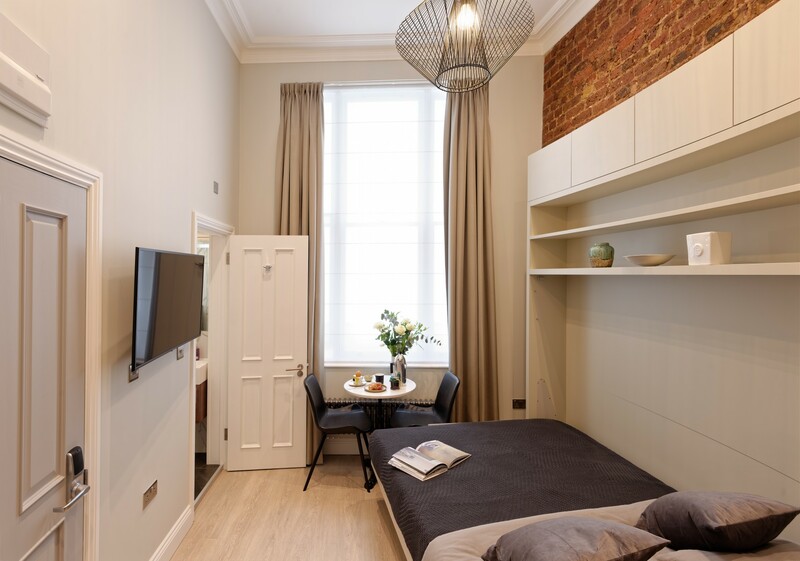 Numerous bus routes and Gloucester Road Tube station are just minutes away while mainline rail stations are short tube journey away.